An Ifop poll shows Marine Le Pen's National Rally party is ahead of French President Macron's En Marche in EP elections. A European Parliament elections poll by Ifop shows Marine Le Pen's National Rally Party Leads Macron's En Marche. Marine Le Pen has 21% of the voting intentions, an increase of four points compared to the last survey of 30 and 31 August. Macron's En Marche accounts for 19% of voting intentions, down one point from August. The favorable rating of Macron is down to 21%, the lowest since his election in May 2017. 13% of voters would vote for the Republicans, a decrease of two points from August. The Socialist Party has 7.5% of voting intentions. By pitching his progressive forces against nationalists, Macron has set the scene for the European elections not only at the EU level but also at home. With her advance in the polls she now threatens to get her revenge for being outsmarted by Macron in the second round of the French presidential elections last year. 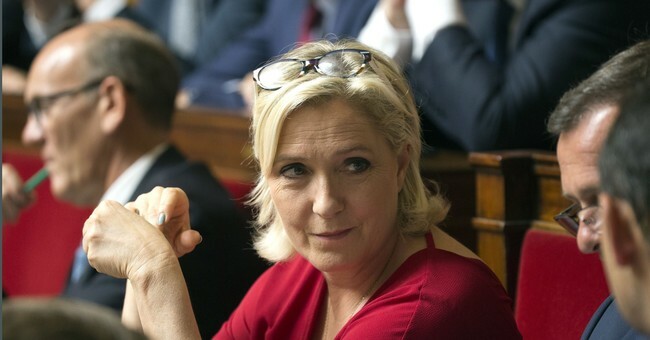 Le Pen winning the European elections next year is not so unlikely. There is a certain Macron fatigue amongst voters, the economy and unemployment figures are not showing any signs of change. Higher taxes on diesel are hitting in particular those rural voters that have less affinity to Macron to begin with. And finally, Europe features lower as a priority among French voters, who might well use the elections next year to settle their accounts with Macron. There will be a counter-wave too: all those who are disappointed or hold a grudge against Macron but will do everything to prevent the RN from coming first may now mobilize. It may not be as massive as the mobilization in the run-off for the presidential election between Jacques Chirac and Jean-Marie Le Pen in 2002, but still it may be decisive. The question then is whether it will enough and whether Macron has what it takes to get his group to the finishing line. Macron's strategy is a massive gamble with unbalanced risks: his chances to win are still uncertain but the consequences if he loses are much more certain, as that would polarize the country even more. Macron's long march to commemorate the 100th anniversary of the WWI armistice may appeal to some of those lost voters, but it will still be a long march to win the European elections next May. Those who thought Marine Le Pen would vanish into the sunset humiliated, thought wrong. Meanwhile, the splintering of Europe continues.